If you've always dreamed of hitting the open road and exploring the countryside, perhaps a used Mazda Bongo is the right vehicle for you. This camper might not be the largest on the campsite, but it's sure to have the most personality. Easy to drive and offering a comfortable, flexible interior space, the Bongo is a great option for anyone with a sense of adventure. 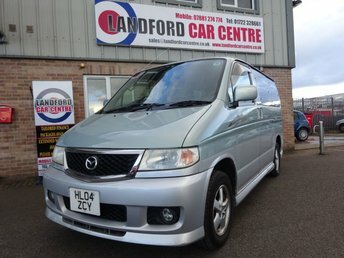 Come and take a closer look at the stock of used Mazda Bongo camper vans for sale in Salisbury right now at Landford Car Centre. Our vehicles are put through a thorough inspection process before going on sale, allowing our customers total peace of mind. You can also browse our full range of used cars in Salisbury here on the website.